Today, many people that consider Kudzu an invasive species do not talk much about the fact that it is an edible plant related to peas. While they may admit that Kudzu was deliberately sown by the US Soil Conservation Service to reduce soil erosion, they just as quickly say that it is a noxious, invasive plant that should be avoided at all cost. From homesteaders to preppers, however, it is important to use everything that is available for meeting survival needs. In this case, the highly prolific Kudzu has a number of diverse uses that may be of interest to you. Kudzu, or Japanese Arrowroot is a legume that produces hearty vines and a great deal of biomass. It was originally exported from Japan in 1876 and was considered an ornamental plant. 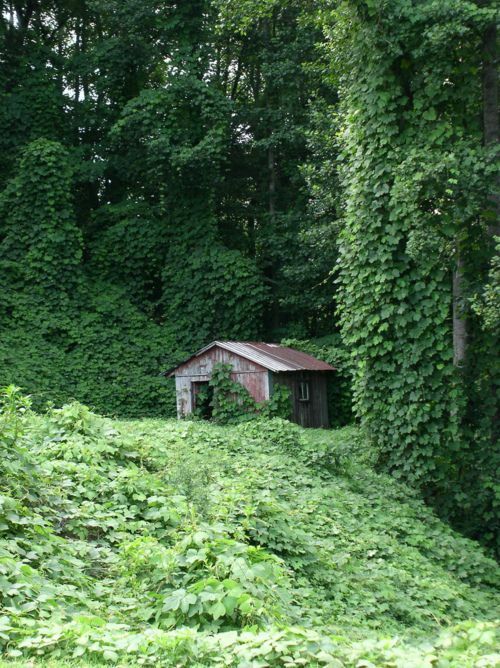 During the dust bowl era of the 1930’s and 1940’s, Kudzu was heavily planted in order to help stop soil erosion. It was also used by the railroad companies to help stabilize the land around the tracks. While some sources claim that Kudzu is literally taking over the south, others say that it is not spreading fast, let alone pose a threat to natural habitats. Nevertheless, many states consider it a noxious weed and are seeking to eradicate it as quickly as possible. The simplest and least efficient way to use Kudzu is to simply let it dry out and then burn it. If you are in an area where Kudzu is growing unchecked, then you can simply harvest the vines and burn them within a few days to a week of cutting it from the roots. Kudzu can also be used to produce natural gas. Therefore, if you are already considering setting up a natural gas incubator for your home or homestead, then Kudzu might be an ideal plant to grow. Without a question, if you are considering setting up a homestead on acreage in the southern United States and have been told to avoid land where Kudzu is growing, this may just change your mind. Considering just how prolific Kudzu is, the cost of setting up a natural gas incubator and tanks may be well worth it since you will have plenty of materials to run it on. There is also a way to use Kudzu to make ethanol. According to some sources, it can be used to produce an alcohol that is similar in proof to moonshine. While you may still need to create some kind of still in order to concentrate the alcohol, you will still have plenty of materials to work with. Historically speaking, Kudzu has a track record for being used to curb alcohol consumption that dates back to around 600 AD. At least one text dedicated to Chinese medicine indicates that Kudzu, along with one other herb could be used to help prevent drunkenness as well as reduce alcohol intake. A number of modern researchers have also shown that Kudzu extract can be used to curb alcohol consumption in mice, monkeys, and hamsters. In order to use kudzu for managing alcoholism, it is important to understand what Kudzu will and will not do. First, Kudzu will not make you sick if you do consume an alcoholic beverage. This is very different from prescription drugs on the market that may create an aversion to alcohol which would seem to reduce interest in consuming it. Second, Kudzu will not stop all drinking. Rather, it will curb your interest in alcohol. A number of studies showed that both humans and animals either took smaller sips of alcohol, or did not consume as many cans of beer even though they were readily available. Third, if you are going to use Kudzu to curb alcohol consumption, it will only work while you are using this herb. In most cases, the effect of using Kudzu wore off within 24 hours. While you can use Kudzu to help curb alcohol use, it is also important to seek other forms of therapy that will help resolve the underlying issues that lead to excessive drinking. You may also be interested in Declinol, which is a commercial formula that includes Kudzu and several other herbs. This particular formula has gone through some peer review testing and has been shown to cut alcohol cravings. If you do choose to work with Kudzu or Declinol, do not forget to check with your doctor first and a pharmacist to make sure it will not interact with any drug or herbal supplement you are currently taking. This includes over the counter drugs that are manufactured in China or other countries, or have effects/side effects greater than initially suspected. There are many herbs that will provide therapeutic benefits with relatively little preparation. Other herbs, unfortunately, require creating extracts that are more concentrated. Some studies indicate that the main ingredient in Kudzu that decreases alcohol consumption needs to be in a higher concentration than you would get from simply consuming the plant. Be sure to work with someone licensed to practice TCM so that you can learn how to harvest the necessary parts of the plant and prepare them properly for your needs. Managing Type II diabetes – Kudzu extract increases cell sensitivity to insulin and can also improve glucose tolerance, as shown in mice. Reduce cholesterol levels – Even though some studies conducted on rats indicate that Kudzu can help reduce cholesterol levels, other studies do not show a decrease. Lower blood pressure – Studies on rats also showed a slight decrease in blood pressure when compared to rats that were not fed Kudzu. Fighting Cancer – Puerarin and other molecules found in Kudzu have an ability to trigger programmed cell death in certain types of malignant cells as well as slow down or prevent their ability to reproduce. Cancers that Kudzu may fight include glioblastoma (a central nervous system cancer), bladder cancer, chondrosarcoma (a malignancy in cells that produce cartilage), and others. 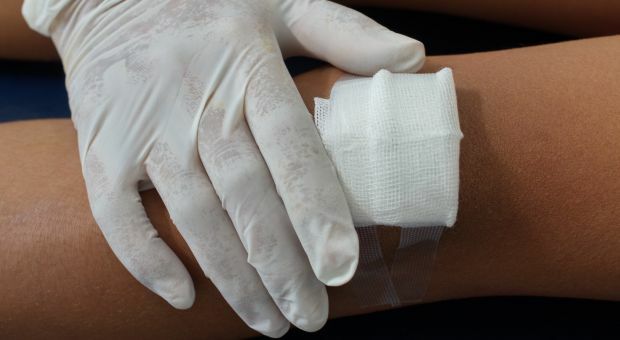 Improve Recovery after a Heart Attack – Researchers are finding that after a heart attack, the blood vessels within the heart develop alternative pathways in order to deliver oxygen and blood to this vital organ. Rats that received Kudzu after a simulated heart attack had more compensatory blood vessels than those who did not receive Kudzu. It is thought that the increase in pathways to deliver oxygen and blood may also help restore normal heart function. Reduce Brain Inflammation – From strokes to other forms of brain damage, researchers have found that swelling plays a key role in creating more damage to the brain. Puerarin causes a reduction in inflammation in both the brain and spinal cord in dogs, rats, and rabbits. In addition, another study also showed that Puerarin also increased blood flow to the brain in dogs that had brain injuries. According to Webmd, there are some troubling side effects that can occur when using Kudzu extract for an extended period of time. Unfortunately, the site does not provide links to studies or sources to verify these claims. Nevertheless, these are some things you should consider and find out more about if you plan to use Kudzu. May slow blood clotting. Unlike studies on Garlic and several other herbs that slow blood clotting, I can find no studies that validate this claim in relation to Kudzu. It is still best to ask your doctor and a pharmacist with access to a drug/herbal interaction database, especially if you are using blood thinners or have a clotting disorder. May Cause or Accelerate Breast Cancer – Studies on this one are controversial at best. Aside from Puerarin, Kudzu also contains a molecule known as Genistein, which can help prevent cervical, breast, brain, colon, prostate, and esophagus cancers. Oddly enough, this very same molecule behaves a bit like estrogen and can accelerate breast cancer growth in people that are in the advanced stages of the disease. May Cause Liver Damage or Make Hepatitis Worse – According to studies done in 2015 or before, Kudzu has a number of anti-oxidant molecules in it which actually help protect the liver from damage, especially from drugs that are known to cause injury to this vital organ. Unfortunately, the study does not indicate whether or not Kudzu interferes with these drugs. Even though paper is very convenient for many purposes, it is also becoming more expensive to make because of deforestation and costs associated with processing the paper. No matter whether you are interested in making toilet paper, paper to write on, or making paper plates, Kudzu may be a key to your plans. In fact, more than a few studies indicate that Kudzu actually makes paper that is stronger and more durable when undergoing a process similar to the one used to make paper from tree based cellulose. Paper is made from cellulose, which is more common in some plants than others. The cellulose is bound together by a molecule called lignin. In order to make paper, the lignin needs to be separated out so that the paper lasts longer and maintains its color. Usually, the first step involves breaking the raw material down into chunks and mixing with water. For trees, the material used is the wood. You can use the stems and roots of the Kudzu plant for making paper as they contain the most cellulose. Next, the lignin must be removed. There are several methods that can be used to achieve this including treating the pulp with hydrogen peroxide or other alkali solutions. Depending on the color of the paper, you may also need to bleach the mixture in order to make it white, or wait until the paper is formed and simply set it in the sun until it fades. At this stage, the pulp should be more water than cellulose. You will need to spread a thin layer on screen, and then let it dry in order to form the paper. Use a block of wood or some other object that is the same size as the inner frame of the screen to push down on the paper. This will remove excess water and also help make a smoother finish. Once the paper is dry, gently lift it from the screen and let it finish drying. As with any other paper, store in a cool, dry place where it will not be damaged by insects, vermin, mold, or other harmful organisms. Kudzu can be used to make both stiff and flexible textiles. To make rope from Kudzu, you will need to use a drop spindle. Simply take some Kudzu vine, fold it in half, and then use the spindle to twist the vines together. Depending on the age of the vine, you can use either the inner or outer part of the vine. Since Kudzu makes vines that climb up trees and others grow at the ground level, you will have many sizes and thicknesses to choose from. While most people use the climbing vines, you may also want to try the ground level ones to see if they work better for you. You can use Kudzu vines to make baskets when the vine is still green, or wait until it is dry in the fall. If you decide to use green Kudzu, try drying it out more slowly and increase or decrease moisture in different parts of the basket in order to reduce warpage. If you know how to dry clay before firing, you can use similar methods applied to the basket. Start off by gathering new kudzu vine growth at the end of summer. Remove the leaves from the Kudzu vines and roll them into a coil. Boil the coil of Kudzu vine for 60 – 90 minutes. Let the Kudzu vine cool, and then place it in silver leaf or some other material that contains the Bacillus Subtilis bacteria. You can also purchase probiotics that have a live culture of this bacteria. Make sure the coils and leaves stay moist so that the coil ferments. This process will take at least 4 – 5 days. Next, take the Kudzu fibers and wash them roughly. The external shell of the vine should wash away and leave you with a silky, off white strands of fiber or bast. Let the fibers dry, and then separate them into strands approximately 1 mm thick. To store the fibers, wind them onto a stick without twisting them. To make the fabric, you will need to weave the Kudzu fibers using a loom. You can weave in other materials to create different textiles as well as add dyes for color and design interests. Most people think that the more nitrogen soil has, the better it will be for growing plants. While Kudzu does fix large amounts of nitrogen into the soil, it can actually be too much for some plant types. If you are going to use Kudzu as a fertilizer, I recommend growing it in a particular area, and then mix that soil with poorer soil that needs a bit more nitrogen. You can also use Kudzu to make compost. Just be sure that the plant material is thoroughly decayed before adding it to the garden. Remember, Kudzu proliferates via a number of mechanisms. Even if just one or two seeds slip through, or a viable vine, the plant can quickly regenerate itself and take over your growing area. As you may be aware, the increasing levels of lead in the soil used to grow crops is increasing at an alarming rate. This trend is likely to get worse as the use of coal and other lead producing materials are used more extensively. Kudzu is one of the few plants that can take uptake lead and store it in the roots and shoots. Therefore, if you have a field that has high levels of lead in it, this may be a good plant to grow for a few years. Just remember these plants will not be safe to use for compost, let alone consumed by humans or animals. You will need to find a way to dispose of the Kudzu plants that will not release the lead back into the environment. That being said, if you are able to remove lead from soil and water, then you have a better chance of growing safe foods on that land. More than a few homesteaders find themselves in a position where they need to purchase hay and other foods for cattle, sheep, and goats. Some individuals that raise these animals have noted that baled Kudzu vines is a good bit cheaper. Kudzu is similar to grass in the sense that humans cannot digest the cellulose in these plants, but cattle, sheep, and goats can. Fortunately, Kudzu is safe for these animals to consume, and also has a lower risk of causing bloat in cattle than alfalfa. Unfortunately, if farm animals consume a steady diet of unprocessed Kudzu, they may lose weight or fail to produce as much milk. A researcher, George C. Fahey Jr. discovered that cellulose in plants such as wheat or grass is digested by the animals better if the plant material is treated with an alkaline solution such as hydrogen peroxide first. Both sheep and cattle had close to normal weight gain and health profiles vs animals that did not receive pre-treated foods. While there is no current research available on the effects of Kudzu on farm animal weight and milk production, you may want to ask farmers or homesteaders that use this food source for their animals to see how it works for them. Even though Kudzu grows very fast, you will still need to allow the pasture to recover from time to time if you have cattle grazing on it. During that time, you will still have to be careful about controlling the spread of Kudzu to other areas. Never forget that Kudzu is now considered an invasive species, so even if cows can do a good job of consuming it, that does not mean you can avoid paying careful attention to where the seeds and vines go. There is considerable controversy over whether or not Kudzu would actually work as a good source of food for bees and other pollinators. To begin, some researchers have noted that bees and butterflies visit Kudzu flowers as much as they do other types of flowers growing in the area. On the other hand, beekeepers claim something very different. Much of the controversy around how much bees actually rely on Kudzu as a pollen source revolves around where purple honey comes from. As you may be aware, this form of honey tastes a bit like grape soda, and only appears in hives in the southeastern United States during drought years. More than a few beekeepers suspect that the purple honey is made by bees when they consume more pollen from Kudzu. They also suspect that the bees rely more on Kudzu during drought years because this is one of the few flowering plants that can withstand a drought. Even though Kudzu is plentiful during more non-drought seasons as well, proponents of this hypothesis claim that the bees only use Kudzu flowers when they have to. Overall, Kudzu may not be the best plant for attracting pollinators to your garden or homestead. On the other hand, if you have some available during a drought, it may just work in this capacity. If you are using honey for medicinal purposes, there is no research available on how purple honey differs from regular honey. Even if it is made from pollen gathered from Kudzu flowers, there is no telling if useful molecules pass along to the honey as they do in the case of Manuka Honey. Today, more people are becoming interested in having small scale bee hives in their yards and on their homesteads. At the very least, if you decide to try beekeeping, you can try giving them plenty of access to Kudzu flowers to see what happens both in terms of the color and taste of the honey as well as its health benefits. Plants that grow near landfills, factories, or roadsides. Plants that grow near a water source that shows signs of farm runoff. Plants growing in areas that have been recently sprayed for insect control. Plants near military bases or other large scale facilities that may release large numbers of chemicals into the ground, water, and air. Plants near areas that have been damaged by wildfires or other large fires that required the usage of chemicals to control. A growing body of research indicates that some chemicals use to fight fires are carcinogens or can cause other serious harm to the body. 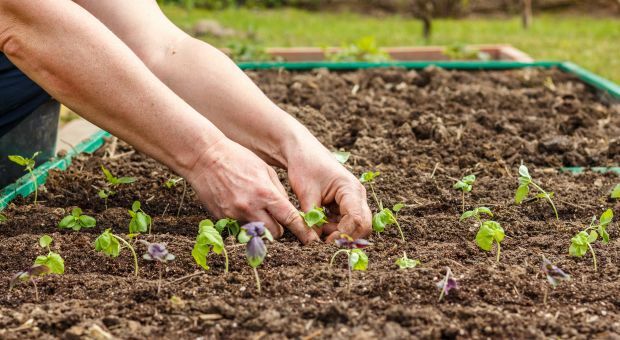 As with many other toxins, it is not known if these chemicals are easily taken up by plants, let alone how long they stay in the soil and water, or what they break down into over time. Kudzu leaves can be consumed raw as salad greens. You can also boil, bake, and fry Kudzu leaves, much as you would boil dandelion leaves or coat and fry squash flowers. In fact, if you have a favorite way to prepare leafy green vegetables, you can simply apply it to Kudzu leaves and see how it turns out. Since Kudzu leaves taste similar to spinach, you might want to start off with seasonings that you use for this plant. Kudzu roots can be baked, boiled, or fried much as you would prepare potatoes. If you favor candied sweet potatoes or yams, then you might also want to give these recipes a try. 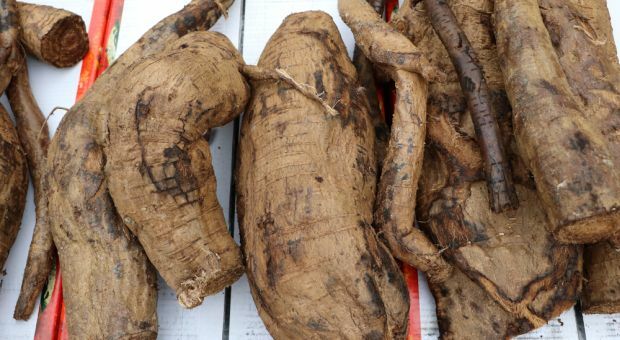 Historically, Kudzu root has been used in Japan and China as a source of starch. Simply grind up the roots and you will have an excellent gluten free flour to use for baking and other purposes. In fact, “arrow root” is becoming one of the most popular flour replacements for people that have issues with gluten based foods. Kudzu flowers are known to have a sweet taste that is similar to grapes. As such, many people candy them, as well as make them into wines, jelly, and jam. While not a food related topic, you can also use Kudzu flowers to make fragrance for soap. Just pour hot water over the flowers and let it steep for about 5 minutes. Pour off the liquid part and use it in soap as you would aloe or other herbal inclusions for soap. Kudzu is known as an invasive species because it was imported from another part of the world and grows better here than native plants that must compete for the same soil, pollinators, and water. In its native land, Kudzu has a number of predators that help keep it under control. Since those predators are not present in the United States, Kudzu grows faster and more easily than native plants. Because it also forms smothering vines, it also kills off native plants at an alarming rate. Quite frankly, it is not likely you will have a problem getting Kudzu to grow. Rather, you will be more concerned with keeping it from taking over and smothering out other plants. Over the years, we have all heard stories about dangerous plants that the government and media tell us must be destroyed. With just a minimal amount of research, however, you will soon learn that many of these plants have important value for food, medicine, and other needs. Interestingly enough, many plants that are considered invasive, unsightly, or socially unacceptable are also some of the most valuable when it comes to providing food, medicine, and even clothing. 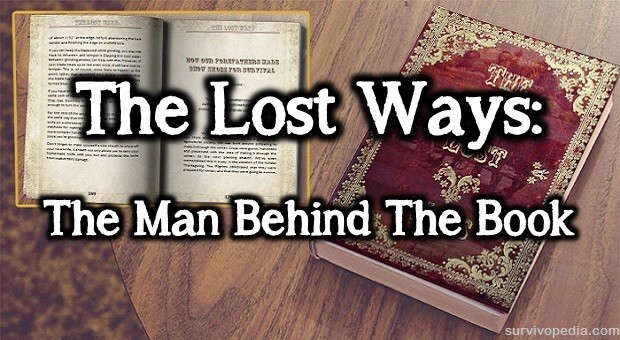 From dandelions to kudzu, it is always best to do some research on your own before concluding that any naturally growing plant is something that must be gotten rid of at all cost. In the case of Kudzu, careful management of this “invasive plant” can give you access to a delicious and nutritious food for yourself and livestock as well as a valuable medication, fuel, and fiber for making clothing. Learning how to grow and use kudzu may just be one of the most important things you can do for yourself. I NEVER KNEW KUDZU HAD SO MANY USES. IN THE SOUTH, IT COVERS THE TREES , SHRUBS, AND SEEMINGLY EVERYTHING. THEY VIEW THE PLANT AS A USELESS WEED. I CAN SEE THAT IT WOULD BE A GOOD USEFUL PLANT FOR SURVIVAL. I AM SURE THERE ARE OTHER USEFUL PLANTS IN NATURE AND I AM LOOKING FORWARD TO LEARNING ABOUT THEM AND THEIR USES. BECAUSE I HAVE DEVELOPED A NEGATIVE ATTITUDE ABOUT THE PLANT, I WILL NEED TO OVERCOME THOSE THOUGHTS AND BEING TO VIEW THE PLAN MORE REALISTICALLY.. If you have asthma or pollen allergies, be careful about using products made from the flowers. 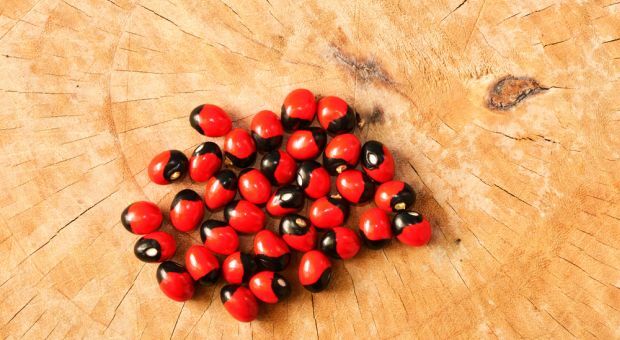 They are a potent allergen which blooms at about the same time as ragweed.